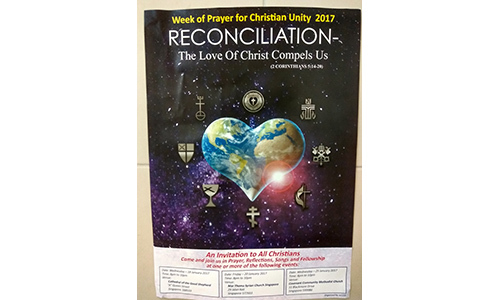 Date/Time - 18 – 25 Jan, 8 p.m. – 10 p.m.
Join fellow Christians in prayer, reflection, songs and fellowship to celebrate the gift of unity among us. 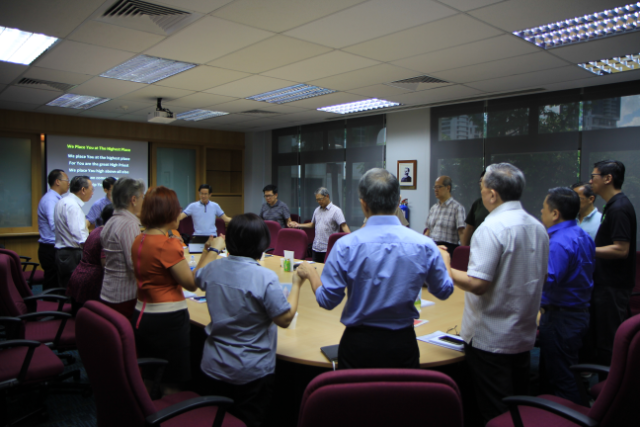 The overarching theme is “Reconciliation - the love of Christ compels us” (2 Corinthians 5:14-20). Organised by Archdiocesan Catholic Council for Ecumenical Dialogue (ACCED) and host churches. Free admission.